Create a Donation Page that Rocks! What would your donors say about your donation page? Especially here – right at the end of the year. And you are hoping, hoping, that plenty of online donations are starting to flood into your site. A recent survey found that 47% of people who visit nonprofit donation pages actually DON’T complete the process and make a gift. Here you’ve got a donor on your web site. And she makes it to your donation page. And she is getting ready to give. There’s a puff of smoke and she disappears. Maybe the phone rings. Maybe she gets distracted. What’s a smart nonprofit to do in this situation? 1. Try it out yourself. You really, really need to go into your own site and make a $5 donation and see what happens. It is a fast, easy experience or is it cumbersome? You and I both know that cumbersome won’t work! 2. Change the title of the page. Not warm and fuzzy huh? Make the title something like: “Yes, I want to help feed hungry children! Here’s my gift! 3. Put a heart-touching picture on the page. Again, I see so many pages that look like serious, drab business. It’s enough to give me cold feet when I am reaching for my wallet. Be sure you have a photo that captures the essence of your work. 4. Make the donate button larger with larger font. 5. Tweak your monthly donation button. 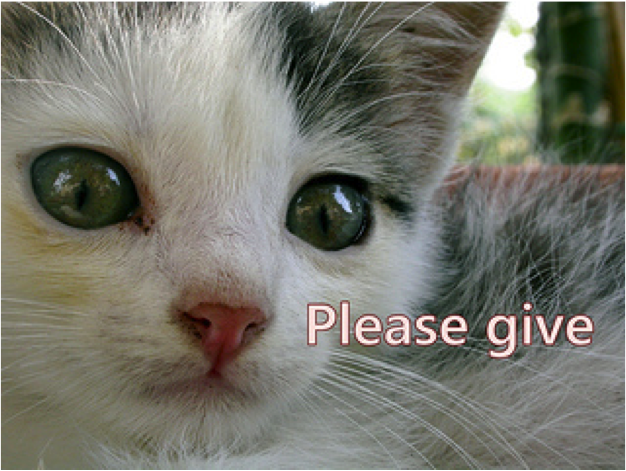 Add the words “yes, repeat this gift every month” next to the button for monthly donations. 6. Create special donation landing pages. For each appeal you send out, create a separate donation page for the appeal. Be sure to echo the original appeal’s design and message. One organization saw a 22% increase in donations to these types of pages vs generic donation pages. 7. Suggest dollar amounts for specific projects. This same organization found that when they placed descriptors next to suggested dollar amounts, gifts went up. Donors were able to see what their donation would help support. 8. Don’t offer too many choices. Your confuse your donor and she just may depart! 9. Don’t add links to other pages. You have worked so hard to get your donor there! Don’t add ANY encouragement to get her to leave this page! 10. Go all out to thank your online donors. Somehow many online donors get left out of the systematic thank you processes you’ve worked so hard to put in place. Create a special thank you effort for your online donors – so you can KEEP THEM GIVING! BOTTOM LINE: Make Donors Love Your Donation Page! Your donation page just may be the most important page on your site. 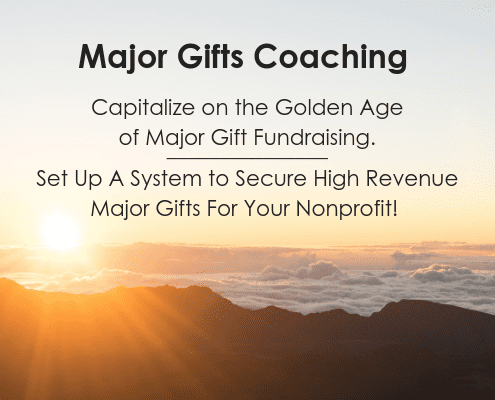 It’s not too late to tweak it a bit to make it far, far more inviting – and compelling – to your donor! https://www.gailperry.com/wp-content/uploads/2016/03/Fired-Up-Horizontal-300.png 0 0 Gail Perry https://www.gailperry.com/wp-content/uploads/2016/03/Fired-Up-Horizontal-300.png Gail Perry2012-12-14 09:42:062017-12-22 09:41:33Create a Donation Page that Rocks! Want to raise lots of money for your cause? Join me every week and get my best fundraising strategies and tips! Look for a confirmation email. We can only add you to our list if you confirm your email. I so enjoyed your sessions. Very sophisticated information and references delivered in a simple graceful fun style. I love your cultivation strategy of advice visits. I’ve been having a great time contacting various business leaders asking for their coaching/opinion on making the Grand Canyon Chapter of the Red Cross a success. My approach is to briefly outline what the Red Cross does in our community , and ask what successful practices they have seen on the charitable boards they serve on. The response has been great. They are interested and want to have on-going dialogue. Thanks again, Gail! Thank you for your witty insights, encouraging prods, and helpful tips! They always make me smile and want to dig back into my prospect pool with new vigor! Your ideas really inspired how I fundraise. They make me more excited about the possibilities. Thank you very much for the great retreat. It was very productive and extremely uplifting to me and the members of the board. I really appreciated your focus on being positive and emphasizing our successes! Gail was a very skilled, passionate facilitator at the NCAEYC Board Retreat. She helped me to view fundraising from a totally new, different perspective. You sure fired our board members up with ideas and a sense of confidence that they can be great friendraisers for our organization. Your energy and enthusiasm for fundraising was infectious. Thanks so much for a great retreat and leaving us with so much new momentum to go out and raise funds for GBMC. You did an outstanding job. Gail was wonderful. Even this old dog learned a few new tricks. We were all impressed with your soft sell with great impact presentation yesterday. Clearly we learned some new tools for fund-raising but more importantly shifted the attitude! 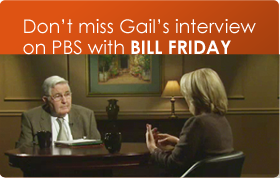 Want to Reprint One of Gail's Articles? 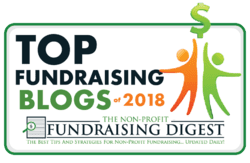 Gail Perry inspires nonprofits around the world with cutting-edge fundraising strategies and new tools to make fundraising more successful and more fun. 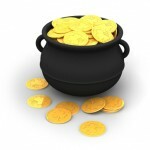 Find smart strategies to help you raise tons of money at Fired-Up Fundraising.com.